The Registered Disability Savings Plan is a savings plan that helps parents and caretakers of those with a disability save for their loved one's long-term financial future with some financial contributions coming directly from the government -- free money, in other words. So why are so few using the RDSP? 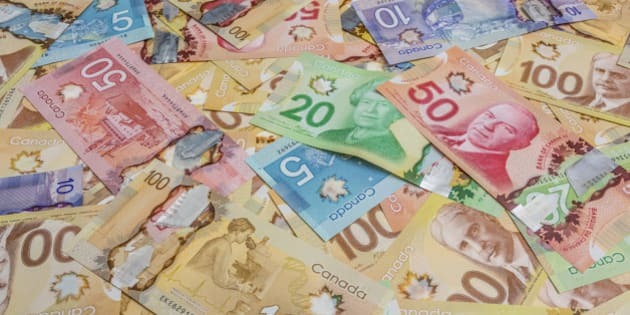 Canadian dollar bills spread out. Many of us in the disability community were pleasantly surprised when the Liberal party promised to create a National Disabilities Act that would safeguard disability rights, reduce systemic barriers and establish a foundation of opportunity for those affected by disability. Canada is an outlier among developed nations for not having one -- the U.S. has had theirs for 25 years -- so it could not arrive soon enough. But the federal Conservative government did make some positive contributions of their own for the disability community during their decade in power -- most notably, the Registered Disability Savings Plan (RDSP). The RDSP was the brainchild of non-profit organization, PLAN and was championed by the late Finance Minister, Jim Flaherty, who made it a reality in the 2007 budget. Flaherty had first-hand experience with disability; one of his sons contracted encephalitis as an infant with lasting health consequences. The RDSP is Flaherty's legacy to Canadians with disability and it remains an important and valuable program -- at least in theory. According to a 2014 study, only about 15 per cent of eligible Canadians take part in the program, meaning almost half a million eligible Canadians are losing out. With a wave of teens with autism reaching adulthood in the coming years, helping families affected by disability help themselves has never been more important. So what is it and what needs to be done to make it work better for Canadians? The RDSP is a savings plan that helps parents and caretakers of those with a disability save for their loved one's long-term financial future with some financial contributions coming directly from the government -- free money, in other words. There are two components to the RDSP in addition to personal contributions: a federal grant and a federal bond. The grant is based on family income and how much a family contributes privately to the RDSP. It can equal as much as $3,500 in contributions from the government each year. The bond is based solely on family income (those making less than $43,953) and can be as much as $1,000 in contributions from the government per year. Over the lifetime of an RDSP, an individual can receive as much as $70,000 from the federal grant, and if eligible, as much as $20,000 from the federal bond. So why are so few using the RDSP? In 2014, a cross-party Senate Committee undertook a study to answer this very question. It's time our new federal government dusted off the report and put some of the recommendations into action. 1. Establish an RDSP automatically once an individual is eligible for Revenue Canada's Disability Tax Credit. When I initiated my son's RDSP, I was required to provide his Disability Tax Credit status, a Social Insurance Number, proof of age and residency in Canada. It's a lot of intimidating bureaucratic paperwork that could put off families who may have time, language or educational barriers. 2. In the meantime, raise the awareness and understanding of the RDSP program. I regularly encounter families in the disability community who have never heard of the RDSP program or don't know how to initiate it. Others have told me they don't have the money to start one -- unaware they'd be eligible for free government bonds just for opening the account without requiring a penny of savings from them. The Senate report recommends the federal government should partner directly with advocacy groups to help spread the word. This makes good sense since it's often the front-line non-profit groups who are directly engaged with disability families and know best how to reach them and could help them with administrative hurdles. Another promising model is to have health practitioners work directly with their patients. Recently, a coalition of healthcare providers, researchers and community agencies based in Ontario and Manitoba have created a Get Your Benefits!Toolkit to help healthcare workers improve the wealth -- and thus the health -- of their patients by helping them access income and other supports they may be entitled to. This recommendation isn't in the Senate report, but it's one that comes from my own experience and from others I know in the disability community. If you have a disabled child, 'extra money' is not always easy to tuck away. But birthdays and other special events are an opportunity for loved ones of the child to contribute meaningfully to their future. Financial institutions should work with the federal government to find an easier way for those who are not plan holders to contribute to an individual RDSP in small or significant amounts (in theory it is permitted now, but in practice, it is almost impossible in some plans). It takes a community to raise a child after all. The RDSP really is an excellent program and needed as much today as when it was created. The federal government just needs to give it wings to make it fly.